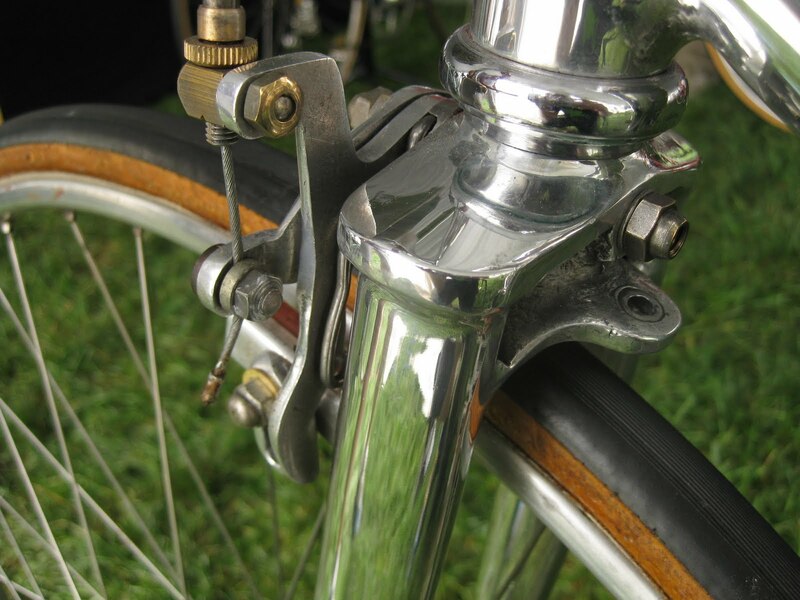 Nichola Barra build these aluminum bicycles from the late 1930s into the 1950s. 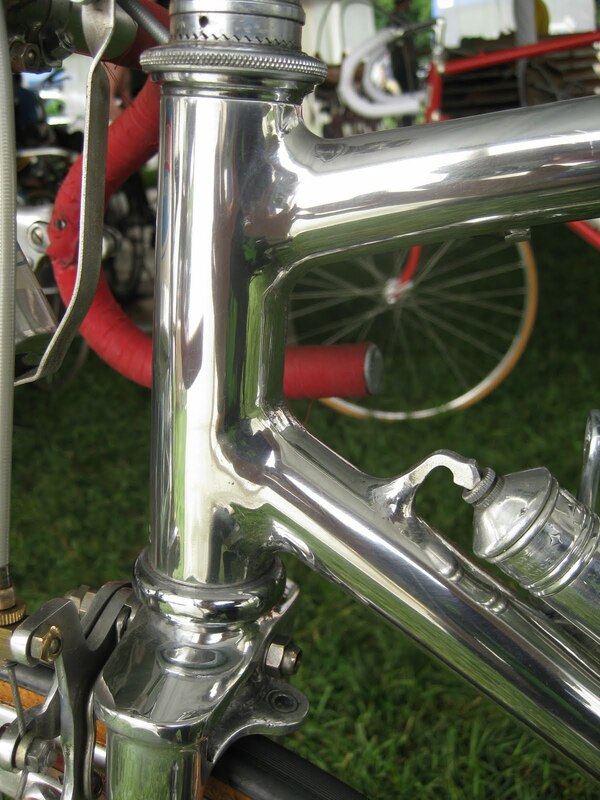 it is gas welded aluminum, expertly done, flawless, and way ahead of its time. 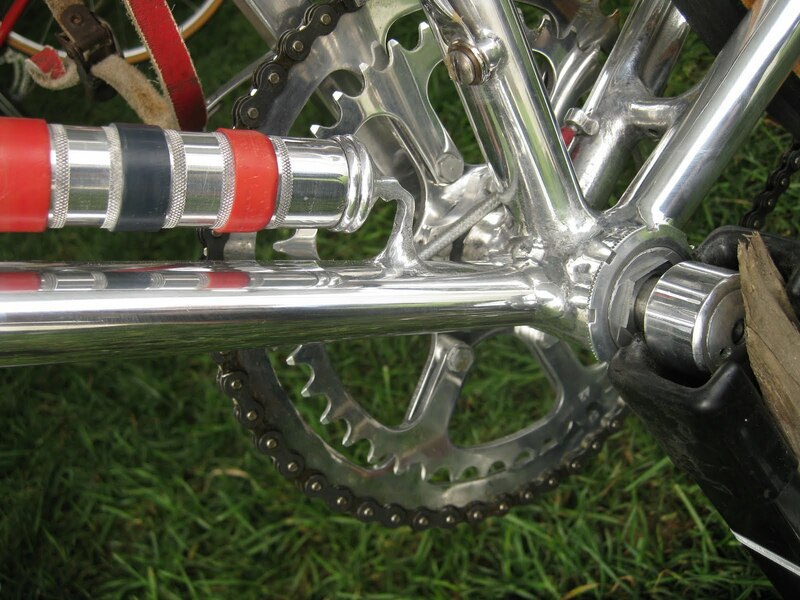 Also take note of the ovalized tubing at the joints- Seatlug and bottom bracket. 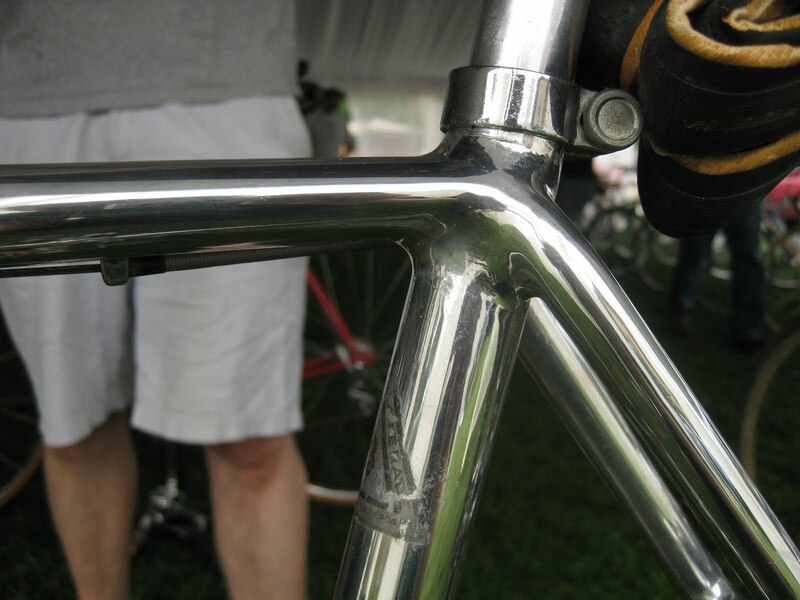 This example was equipped Lam brakes, Le Chat front derailleur, Stronglight 34 cranks, Simplex rear derailleur, Porteur Hubs, Simplex Skewers, Stronglight Headset, Ideale saddle. These bikes are exceedingly rare, and to see one in person is extremely hard to do, expecially here in the United States. 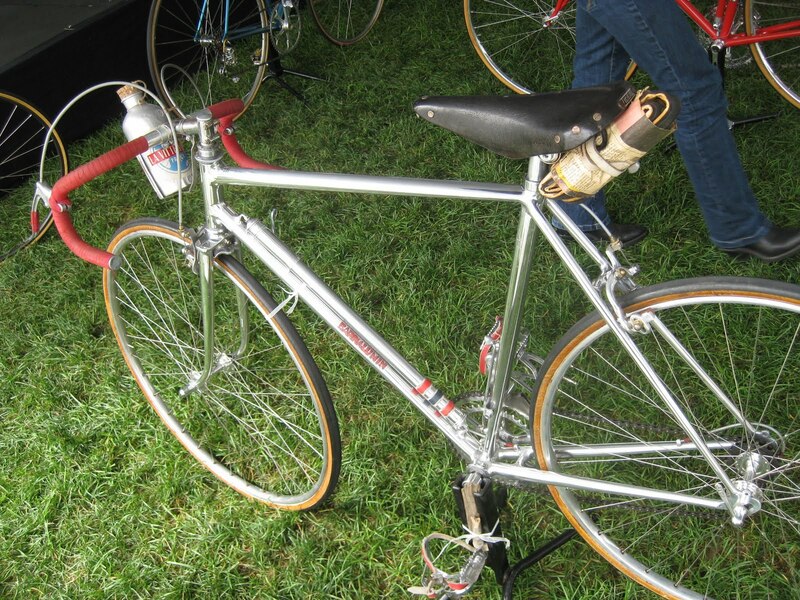 Ken Denny in Boston owns this bicycle. 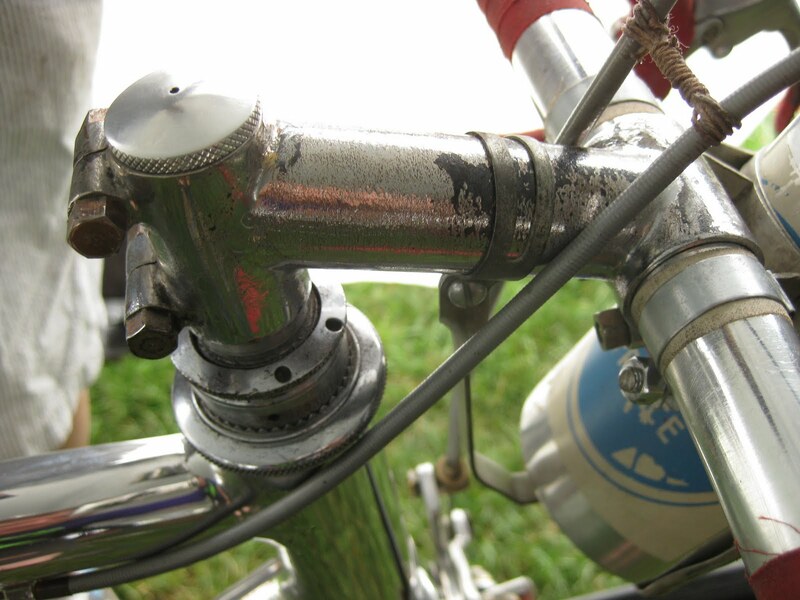 the ovalized top-tube to seat stay! Thanks for giving credit to the owner – me. Also, it's Nicola Barra, not Nicholas. ken, I did not publish your name as there has been certain owners of bicycles who did NOT want their ownership published for whatever reason. so I took the stance of not publishing them. Ken Denny, I will give you credit from now on every time I use an image of anything of yours. Ken Denny attempted to rob a bank in July using a fake bomb. The guy is nuts! Ken Denny pleaded guilty to this in April 2016 and his sentence date was August 3, 2016. Did anyone learn of what he received?